sidered as quite decisive. Last midsummer the weather was unfavourable to my observations, and at the end of October the latter were not sufficiently numerous to furnish an answer even to the first of the above questions. I should not in fact have alluded to the subject had not M. Babinet, in the Academy of Sciences, proposed a method of determining the translatory motion of the solar system identical with the one which, two years ago, I submitted to the Royal Scientific Society of Upsala. h (1 – cos Θ) tan Θ.
dΘ = – h(l – cos Θ) tan Θ. 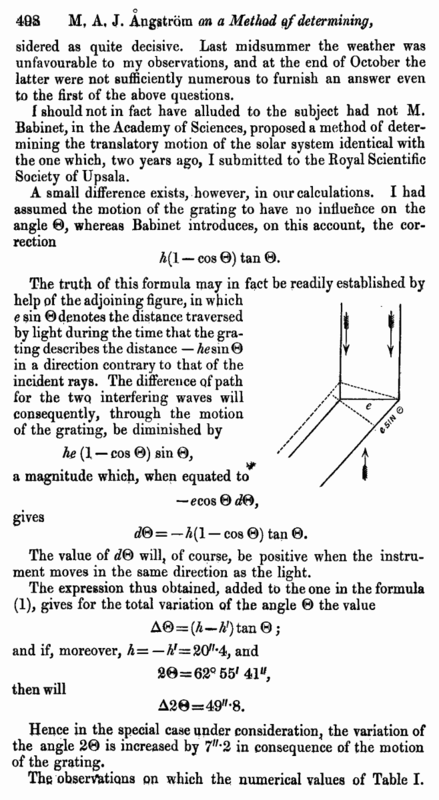 The value of dΘ will, of course, be positive when the instrument moves in the same direction as the light. Hence in the special case under consideration, the variation of the angle 2Θ is increased by 7″·2 in consequence of the motion of the grating. 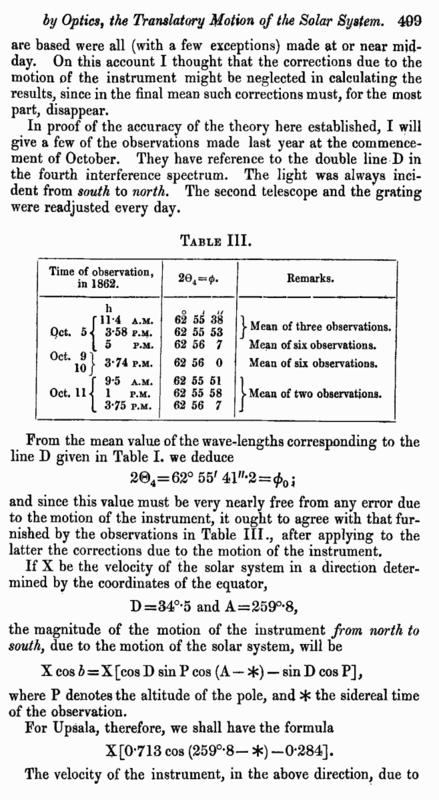 The observations on which the numerical values of Table I.